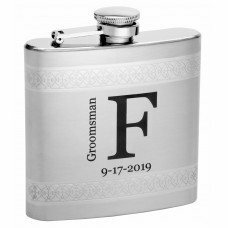 This 6oz hip flask is elegantly designed making it a great buy for formal events such as birthdays and weddings. 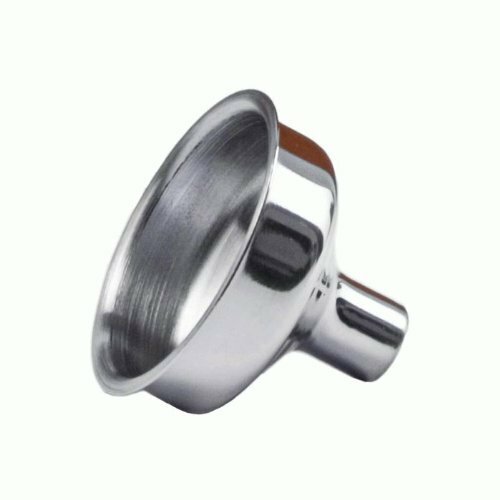 The flask is made using a thick 304 (18/8) stainless steel so it has a quality look and feel when in your hands. There is a Celtic-style embossed pattern running around the flask both at the top and the bottom. 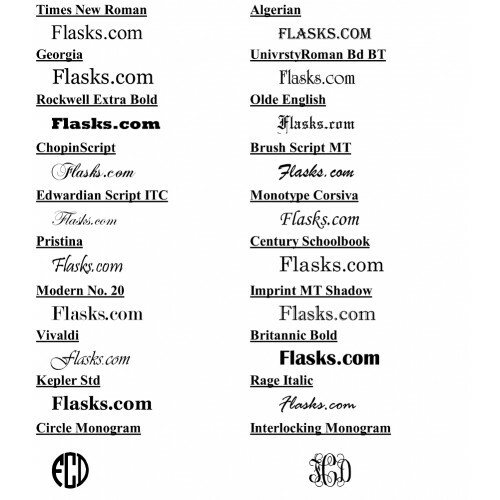 The personalization will go right in the center of the flask between these two lines of design. 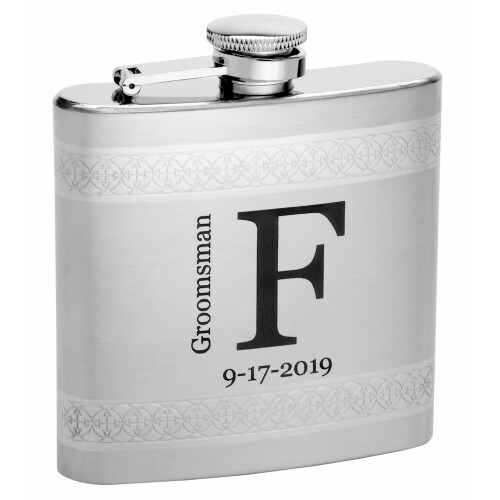 Because the pattern is embossed it is part of the flask giving it an added quality look. 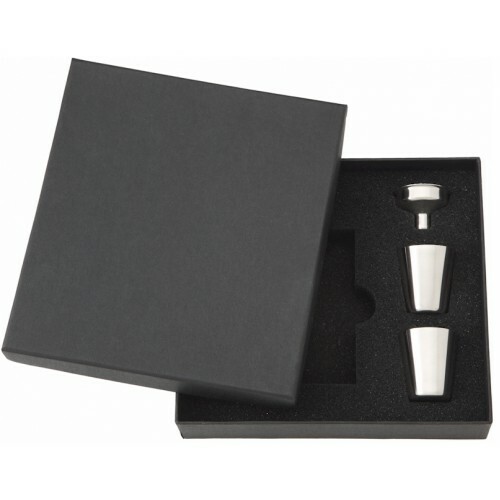 The optional box with funnel and cups makes this a great gift for most any occasion. Remember, we can do most any design, style, wording you want, you do not have to follow our example photo.